2017 CAN Dashboard – Are we healthy? we achieve our full potential. Are we achieving these goals? I am taking a closer look at each goal area and what the data have to say. Today we take a closer look at the health of our community. 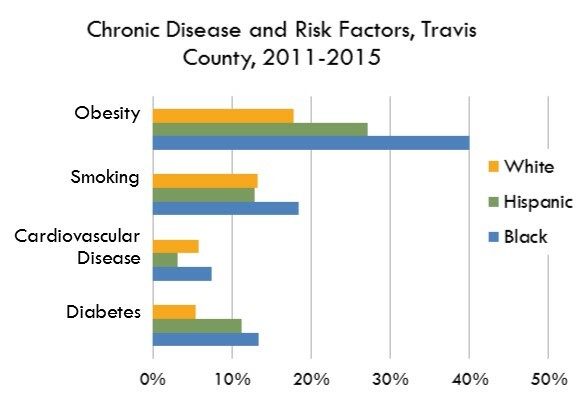 We begin with a look at the obesity rate for Travis County that has risen to 24% in 2015 from a rate of 19% in 2011. 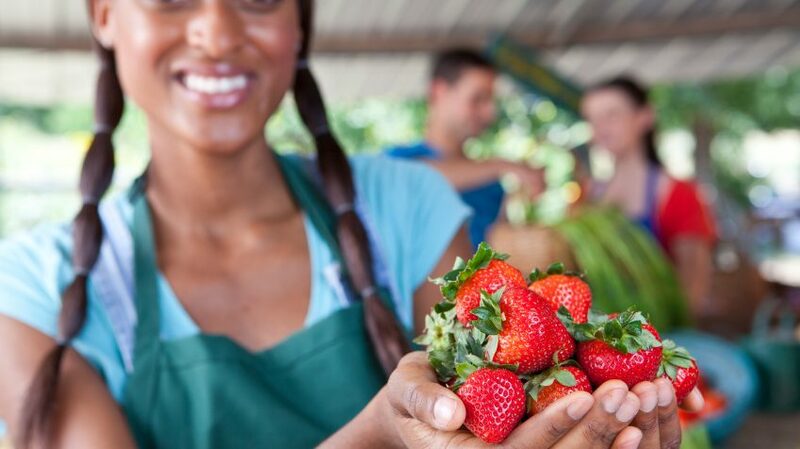 Obesity rates for Black residents (41%) and Hispanic residents (27%) in 2015 exceed the obesity rate for the County as a whole. As the chart below shows, Black residents have higher rates of smoking, cardiovascular disease and diabetes when compared to White residents. We also see a health disparity when comparing Diabetes rates for the Hispanic population and the White population. 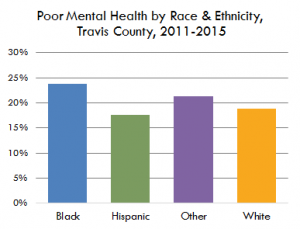 The percentage of adults in Travis County reporting poor mental health increased to 19% in 2015 from 17% in 2011. A greater percentage of African Americans (24%) reported poor mental health in 2015 compared to the population at large. People with low incomes were most likely to report poor mental health. Of people earning less than $25,000 per year, 27% reported experiencing poor mental health. A person reporting poor mental health is one who experienced stress, depression, and problems with emotions for at least five days during the last month. The percentage of Travis County residents under the age of 65 without health insurance has fallen from 21% in 2011 to 16% in 2015. When we examine the uninsured rate by race and ethnicity, we find that Hispanics are most likely to have no health insurance. 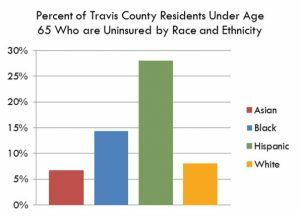 According to Austin Public Health’s analysis of Texas Behavioral Risk Factor Surveillance System data, 28% of Hispanics under the age of 65 are uninsured. Much of the overall increase in the number of people who have health insurance is due to implementation of the Affordable Care Act, which is not available to people who are undocumented.